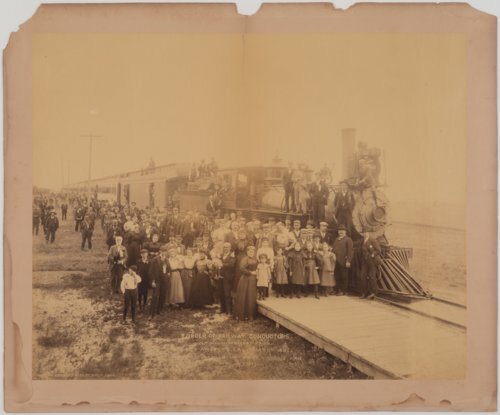 This is a photograph showing the Order of Railway Conductors, 26th Session of Grand Division, Los Angeles, California, traveling on the Missouri Pacific Railway. The photograph was taken at Horace, Kansas. Creator: Jackson, W. H. & Co.